The Pakistan Super League has been a platform for not only local players, but also for the talent from other parts of the world to showcase their skills. 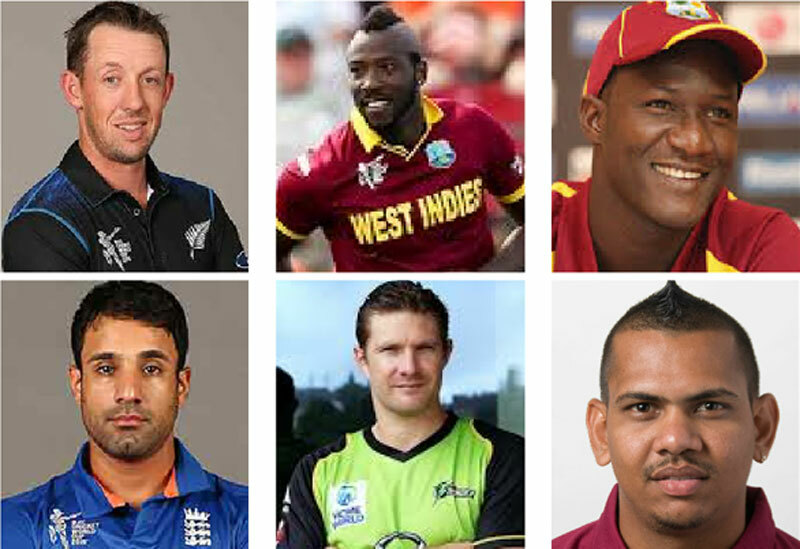 The league in its three editions so far has seen 77 players from various countries perform in T20 cricket. The foreign players are an integral part of the PSL and have played a vital role in making it successful across the globe. Foreign players have won all the three player of the final awards – Dwayne Smith (2016), Daren Sammy (2017) and Luke Ronchi (2018). Here are some of the overseas players who set the tournament alight. Luke Ronchi (Islamabad United): The former New Zealand opener had a dull start to his PSL career in 2018, but once he took off, he became an unstoppable force. Ronchi bagged ducks in two of his first four innings, but in the following seven innings he registered five half-centuries, including a 39-ball 94 not out against Karachi Kings in the Qualifier and 52 off 26 balls against Peshawar Zalmi in the final. Ronchi finished the tournament as the highest run-getter scoring 435 runs at an average of 43.50 and a strike-rate of 182.00. Even though he has featured in only one PSL, his impact on the tournament has been as good as any other foreign player. He was also named player-of-the-tournament of PSL 2018. Andre Russell (Islamabad United/Multan Sultans): The Jamaican all-rounder Andre Russell moves to Multan Sultans for this season after being part of two title-winning Islamabad United sides. Russell was the leading wicket-taker in the inaugural tournament which United won in 2016. He took 16 wickets at an average of 17.25, including valuable scalps of Kevin Pietersen and Kumar Sangakkara in the final against the Gladiators in Dubai. The all-rounder missed the 2017 tournament and had a short 2018 event due to injury, but he did manage to hand United a victory when he, along with Asif Ali, were sent to chase 16 off 6 balls in the Super Over against Lahore Qalandars after the game was tied. Ravi Bopara (Karachi Kings): The England star can lay a claim to have produced the greatest all-round performance in T20 cricket. Playing for Karachi Kings in the first PSL in 2016, Bopara scored 71 not out off 43 balls against the Qalandars and took six wickets for just 16 runs, the best figures in the PSL. He was also named player of the tournament in the inaugural tournament after scoring 329 runs at 54.83 and taking 11 wickets at 13.81. Bopara has been a regular member of the Karachi team and will be playing his fourth season with them in PSL 2019. Overall, he has scored 571 runs, taken 15 wickets and 14 catches. Shane Watson (Islamabad United/Quetta Gladiators): The Australian all-rounder is statistically the best overseas batsman in the PSL. With 684 runs at 29.73, he is the highest run-getter and has also hit the highest number of sixes (43). Watson played the first two events for the United and third one for Quetta Gladiators, and also captained the United in a couple of games in 2016 when they won the tournament. He was a key and the best batsman for the Gladiators in the last season, scoring 319 runs at a strike-rate of 135.16, including 90 not out against the Kings in Dubai. Considering his valuable contributions at the top-order, the Gladiators have retained him before the players draft for PSL 2019. Daren Sammy (Peshawar Zalmi): he two-time ICC World T20 winning captain’s enterprising leadership has been the driving force behind Peshawar Zalmi’s consistent run in the HBL PSL. Sammy, in his maiden gig as captain of the Zalmis, won them the tournament in 2017, which included a player of the match performance in the final in Lahore. Sammy’s 11-ball 28-run cameo in a low-scoring final shifted the game’s momentum in favour of Zalmi before they bowled out the Gladiators for 90 to win the match by 58 runs. Last year, he also scored 159 runs at a strike-rate of 182.75, the highest for any batsman in the 2018 edition. The all-rounder from Saint Lucia will lead Zalmi in the 2019 edition as well. Sunil Narine (Lahore Qalandars/Quetta Gladiators): The Windies off-spinner Sunil Narine has moved to the Gladiators after having played two seasons with Lahore Qalandars, for whom he has taken 20 wickets and more importantly bowled 66 overs at an economy of just 6.22. Narine’s economy-rate is the lowest for any bowler in the tournament’s history and for that particular reason he was trusted to bowl the Super Over against the Kings in Dubai in the PSL 2018. It was due to his smart bowling that Qalandars registered a rare win against the Kings after the game was tied. While he has been intelligent with the ball, his strike-rate (214 runs at 164.61) with the bat is the third highest in the PSL — behind only Shahid Afridi (165.42) and Ronchi (182.00).